In this post we’ll look at wearable technology – what it is and why it’s going to be important. We’ll also look at responsive design on wearable technology devices, and offer predictions on how we’ll develop future applications. Remember the calculator watch? For most of us, it was a first look into a world where technology was incorporated into our daily lives. We’ve since seen the meteoric rise of computing – from universal adoption of the desktop, to pervasive usage of the smartphone, and the recent popularity of the tablet. Computing has changed the way we discover information, communicate with people close or abroad, and aid in the creation of art, music, and much more. For the past twenty years, working on the computer has been thought of as an external activity. We have needed a specific device capable of computing to do the tasks we’ve needed. The way we interact with technology is changing and many believe wearable technology is the next iteration of the digital experience. Wearable technology devices are always there, usually attached to us (in the form of watches, glasses, contact lenses, computerized fingertips) that provide very helpful digital information and computing functionality. Smart Diapers, capable of detecting rashes, health disorders, and dehydration in infants. The FIDO Project increases communication between working dogs and their handlers through wearable devices and sound messages. Consumer technology firms such as Apple, Google, Samsung, and Motorola are looking towards wearable technology for rapid growth as the smartphone market matures. 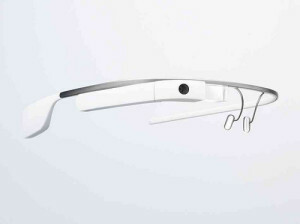 In April 2012 Google announced the Glass project, a wearable Android computer with a visual display on the lens. 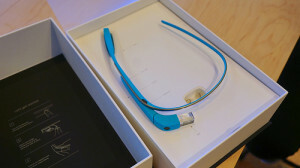 Google Glass is quite arguably the most well known application of wearable technology, and is in strong position to lead the wearables market into mainstream awareness. Google, via Motorola Mobility, is hiring a “Director of Wearable Technologies” further signifying the companies continued interest in the viability of the future wearables market. Bloomberg reports Apple has a team of approximately 100 working on a wristwatch computer project, speculated as the iWatch. Apple CEO Tim Cook has also gone on record saying, “obviously we are looking at new categories”. I’ve been doing a lot of responsive design – that is creating websites that work for multiple resolutions and on multiple devices. Essentially, a responsive site is a single website capable of servicing desktops, tablets, smartphones, or any other digital devices with a web browser and internet access. Wearable devices are going to further increase the importance of responsive design for brands, designers, and content creators. Websites will be accessible from contact lenses, glasses, watches, and much more. Designers, brands, and developers will have to adapt to meet the change in consumer behavior. At the very least designers are going to be dealing with many, many, many, many, media queries. 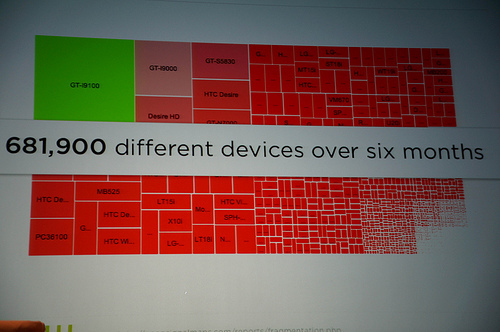 Almost equally likely is we’ll have to program specific functionality for device size and capability. After all, high resolution video on a watch face doesn’t seem practical, but could be useful embedded on a contact lens. Designing an intuitive user experience will be an additional challenge for designers since there will be an increased level of variables (interface, screen size, capability) and devices to consider. Additionally, we’ll have to invest more time, budget, and energy into quality assurance testing. Native applications currently dominate the smartphone experience. As the amount of internet-capable devices we own increases, we may see an increase in popularity towards web based applications. Web based applications are accessible on multiple browsers across multiple platforms. This is attractive for developers who can build the application with familiar HTML5 as opposed to a myriad of device platforms and architectures. Mobile devices now support a majority of HTML5 features giving developers better freedom over application feature set. Thad Starner – founder and director of Contextual Computing Group at Georgia Tech. He has worn a self designed continuous access computer system since 1993. Richard Devaul – member of the Google Rapid Evaluation Team, which is in charge of “finding the next best thing”. Devaul has a PhD from MIT and has focused on building wearable products for a decade. Steve Mann – inventor and reacher University of Toronto. Used and studied wearable computing for 30 years. Mann is often referred to as the “father of technology”. He came to further fame when assaulted at a McDonalds for wearable a digital eye glass. How do you feel about wearable technology? Will we see this technology become popular? How will it change our lives? Leave your thoughts in the comments.